The main function of the vehicle tire is to eliminate the imperfections of the road surface. It is one of the most important car components responsible for the comfort and safety on the road. During the winter season you should change your tires. We’ll give you some basic tips and main characteristics that you should follow when choosing winter tires. Winter tires are different with their pattern – they have multiple blades that reduce the braking distance in winter conditions. It is recommended to put them on at temperatures below 6-7 degrees. Winter tires are mostly symmetrical and the direction of rotation coincides with the direction of movement of the car. What do the symbols on the tires mean? „W” indicates the speed index, specifying the maximum speed at which the tire resist; Index / max. permitted speed – P/150 km/h, Q/160 km/h, R/170 km/h, S/180 km/h, T/190 km/h, H/210 km/h, V/240 km/h, W/270 km/h, Y/300 km/h, Z/over 300 km/h. During the winter it is important to drive with winter tires on all four wheels! Be aware of the life of winter tires – it lasts no more than four years. Rubber mixture loses its properties when high temperatures and sunlight. If you do not have the appropriate conditions for storage of your tires can take advantage of the service “Hotel for tires.” This will ensure a long life of you tires and properly stored. In case you store them at home is good to know that if the tires are with rims, they must be stored in a horizontal position (lying). If you are without rims should be stored in a vertical position. It is important the storage not to be humid, not to have big temperature fluctuations, direct sunlight or heat. 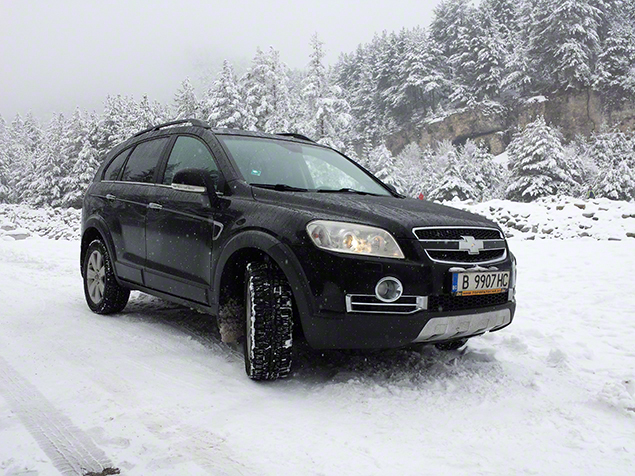 For your comfort and tranquility during the winter Top Rent A Car offers winter tires without extra charge.